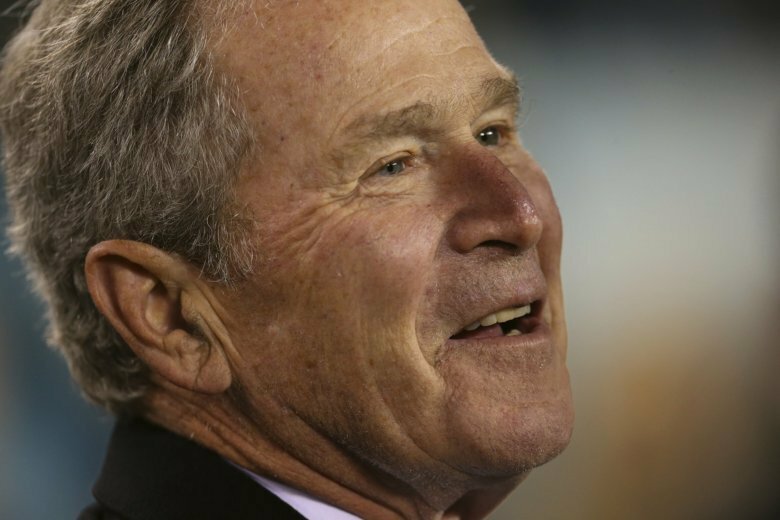 CHICAGO (AP) — Former President George W. Bush will receive a prestigious leadership prize from the Abraham Lincoln Presidential Library Foundation. The foundation announced Monday that Bush will receive the 2019 Lincoln Leadership Prize during a ceremony on April 1 in Chicago. The annual award recognizes people for a lifetime of service in the spirit of Abraham Lincoln, the nation’s 16th president. Ray McCaskey, chairman of the foundation’s board of directors, says much of Lincoln’s legacy was defined by his leadership during the Civil War. McCaskey says Bush also faced great challenges and demonstrated “resolute leadership” after the Sept. 11 attacks. In a statement, Bush says Lincoln was one of the nation’s greatest presidents and that he’s proud to accept the award bearing his name.